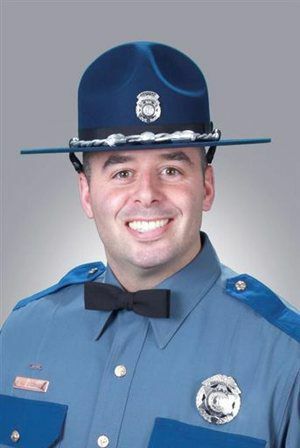 A 38-year-old trooper with the Washington State Patrol (WSP) was killed Friday night after his motorcycle was hit by a box truck while he was directing traffic around a detour in Conway. WSP officials say that Trooper Sean O’Connell was working a detour detail to help direct traffic around the Skagit River Bridge, which collapsed almost two weeks ago in Mount Vernon. O’Connell had just completed a check on a traffic backup and was returning to a traffic control point when the collision occurred, according to reports. Trooper O’Connell was taken to nearby Skagit Valley Hospital in Mount Vernon and was pronounced dead shortly after his arrival. The crash occurred shortly after 5 p.m. Friday and Batiste said that it does not appear that drugs or alcohol were a contributing factor in the collision. The circumstances leading up the motorcycle accident are still under investigation, and officials say that the driver of the box truck is cooperating with investigators. Shortly after this fatal motorcycle accident occurred, WSP officials announced that investigators are actively seeking witnesses to the deadly motorcycle crash. If you or someone you know witnessed the accident, please contact Detective Sergeant Jerry Cooper at 360-805-1192 or Detective Ed Collins at 360-805-1194. O’Connell was a 16-year veteran of the WSP and was reportedly assigned to the Marysville district headquarters. News reports show he was married and was the father to a seven-year-old son and five-year-old daughter.